SOLD OUT SHOWS WHERE EVER THEY PERFORM... 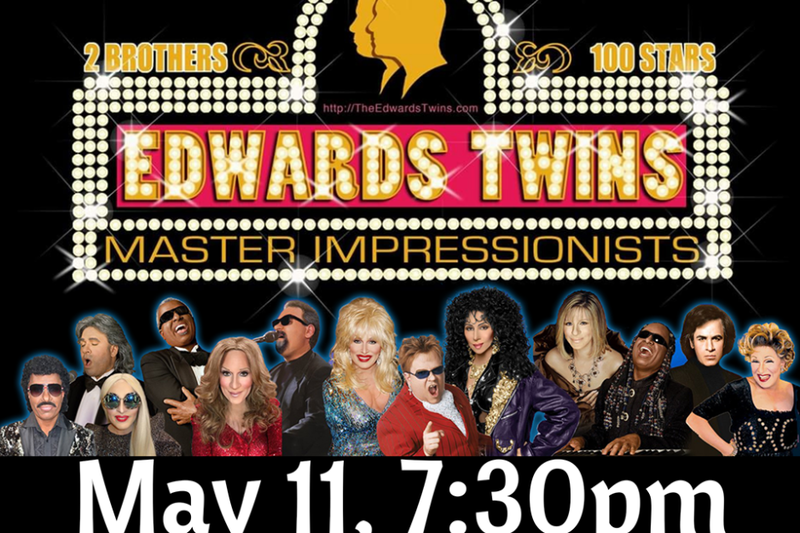 DIRECT FROM LAS VEGAS: AN EVENING WITH CHER, ANDREA BOCELLI, STREISAND & MORE THE EDWARDS TWINS LIVE Actors/singers Eddie and Anthony Edwards, identical twins, have been doing singing impressions for the last 30 years. 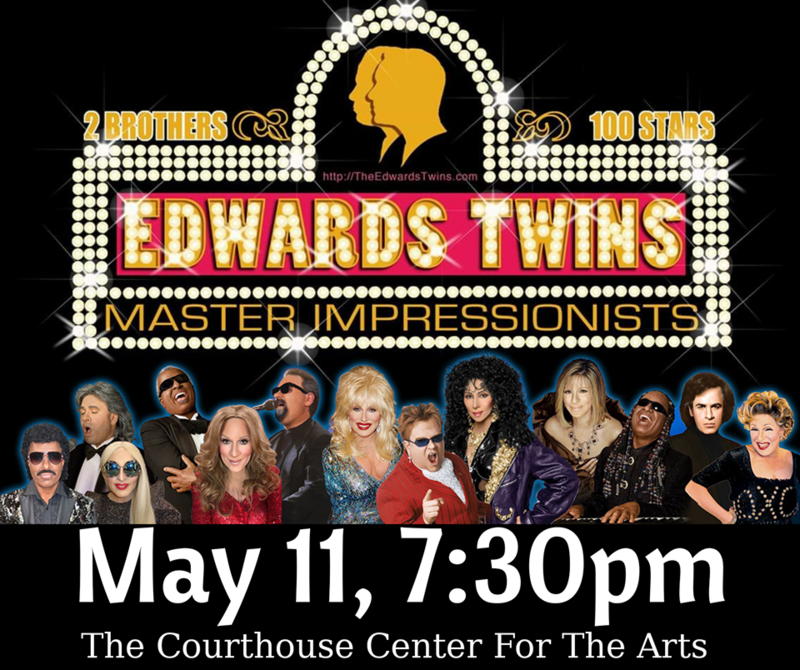 In their renowned Vegas-style show entitled Twintastic, which tours much of the east coast and Canada, Anthony creates mostly male celebrities and Eddie, the females. Eddie's most popular divas are Bette Midler, Barbra Streisand and Cher. These vocal impressions, apart from incorporating incredible wigs, makeup and costumes, employ Eddie's and Anthony's actual voices - that's right, there is no lipsyncing, they are doing their own singing... and their vocals... are amazingly precise and on target.